There's a four-way tie for first place heading into NJPW's last World Tag League show before the finals. 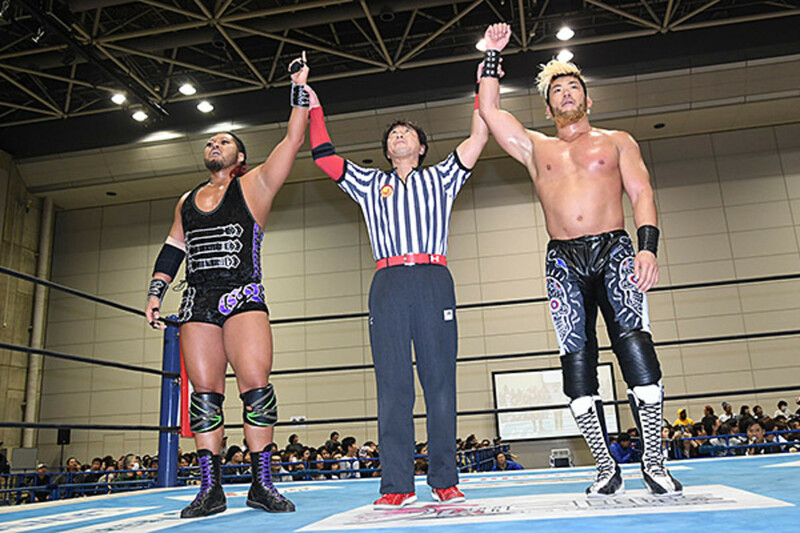 The second-to-last show prior to the finals took place in Yamagata this morning, with Best Friends defeating Guerrillas of Destiny to take Guerrillas of Destiny out of sole possession of first place. EVIL & SANADA, Killer Elite Squad, and Tomohiro Ishii & Toru Yano all won their matches to move into a tie with Guerrillas of Destiny. Guerrillas of Destiny vs. Ishii & Yano and EVIL & SANADA vs. Killer Elite Squad are set for tomorrow's show in Akita and will decide which teams advance to the finals. The finals are being held in Iwate on December 9. If Guerrillas of Destiny don't win the tournament, the winning team will likely challenge for their IWGP Tag Team titles at Wrestle Kingdom 13 in some form.